UBS has unveiled management readjustments of its U.S. equity model portfolios aimed at addressing its financial advisors’ demands for more consistency in the wirehouse’s client-facing research and marketing materials. A lack of client-approved material explaining the wirehouses’ strategies behind two of its domestic portfolios — specifically, its mid-cap and equity income-focused portfolios — had created “a hinderance” for UBS advisors seeking to explain the proprietary products’ advantages to clients, according to Jeremy Zirin, a managing director in the Chief Investment Office (CIO) unit and the head of equities for the Americas. 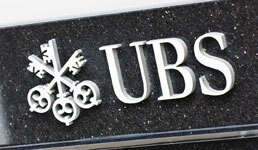 The two portfolios “grew up” in the UBS’ Global Wealth Management Investment Platforms and Solutions (IPS) unit. But they have now moved to the CIO unit, as first reported by FA-IQ sister publication FundFire. “All of these decisions came from financial advisors’ demands and feedback,” says Robert Romano, who leads the Equity Advisory Group in the IPS unit. Romano’s team will work closely with CIO colleagues on all equity model portfolios and IPS will continue to help financial advisors implement them in client accounts, according to UBS’s press release about the changes. “The set-up will provide greater consistency across all home office model portfolios, as well as additional client-facing materials and communication resources for UBS financial advisors,” UBS said in its release.